Departs: Tue, Thu, Sat, Sun , 10 a.m.
Our Central Lake Tour starts in front of the Ferry Terminal Ticket Office. Just look for the team with the LAKE COMO FOOD TOURS sign! Note: If you are arriving from Como, Cernobbio or Moltrasio we recommend taking the 9:00 am hydrofoil from Como (stopping also in Moltrasio) and disembark in Bellano at 10:04. If this is the case please inform us at least one day before the tour, so that we can organize your pick-up at the ferry terminal in Bellano. This full day tour will allow you to discover the “pearls” of the mid-lake area and view and visit some of the most famous waterfront villas, all accompanied with the tasting of delicious local products. The tour starts with a trip to a fascinating original mill on the hills above Varenna where you will be offered a tasting of the world famous locally produced olive oil, typical Valsassina cheese, cold cuts and wine followed by a guided walking tour of Varenna with its Celtic origins and steep alleys. Lunch will be served at a lakefront restaurant where you will sample typical freshwater fish starters and delicious pasta (a meat or vegetarian menu is also be available). An unforgettable private motorboat cruise will give you the chance to relax in the afternoon admiring the spectacular mountains and the stunning villas, once the homes of aristocrats, now the playgrounds for the jet set. 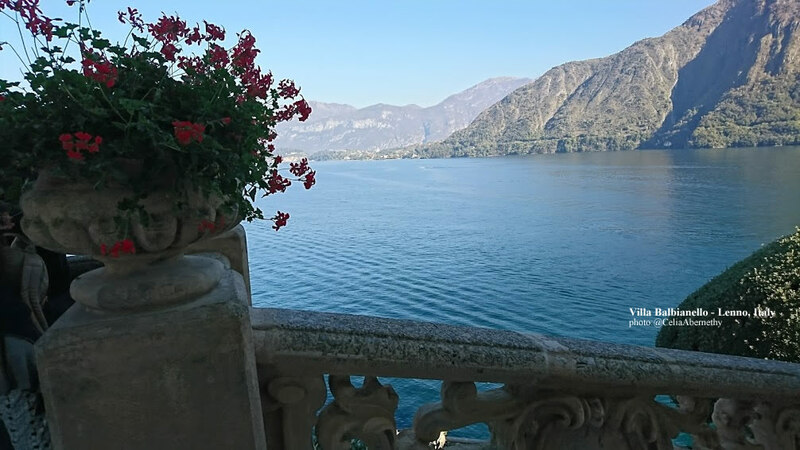 You will disembark at Villa del Balbianello for a guided visit, a real gem not to be missed, stunning shooting location for a number of famous films such as “Star Wars: Episode II Attack of the Clones” and “Casino Royale”. Afterwards, our motorboat will bring you to Bellagio, where you shall be guided through the wonderful Villa Melzi gardens, followed by a stroll along the lakeside. The tour is in English but we can cater for groups of at least 8 adults in Italian, please check with us for other language availability. Professional, friendly English speaking licensed guide. Tasting of delicious local specialties in a charming old mill. Special lunch in a typical lakefront restaurant (starters, pasta dish, water, a glass of wine and coffee). Boat tour of the most famous central lake villas. Tickets to Villa del Balbianello. Hotel pick-up and drop-off (please contact us for a quotation). The costs of any souvenirs/ drinks / snacks / meals that are not explicitly listed in the programme. A fair amount of walking is involved*. The meeting and end point are reasonably close and well connected to public transport. Please bring a bottle of water; alternatively, you can purchase one near the meeting point. Please advise any specific dietary requirements at the time of booking. If you need to reschedule your booked tour we will do our best to accommodate your request. Please contact us directly by email or phone. In case we cannot meet your needs and you decide to cancel, no refund shall be given for tours that are cancelled with 7 of fewer days notice. We are easily reachable from the central area of the lake and from Como/Cernobbio. Please contact us for further details. At the time of booking, please provide your contact number and hotel details, should we need to contact you. *The trail to the mill where we do the morning tasting entails a descent with some steep steps which must also be ascended on the return trip. Please make sure you are physically adept and have comfortable walking shoes. Please make sure to wear comfortable clothes and shoes for walking. ** In case of bad weather conditions it is possible that the tour undergoes some slight changes and that the transfer to Villa Balbianello is done using public transport and not with the private boat taxi due to safety reasons. By clicking “Book Now”, You will be directed to the Lake Como Food Tours tour operator’s secure booking system. By booking with LakeComoStyle.com, there are no additional fees. Feel free to contact us for inquiries or additional information.